In the last post we began introducing readers to an important historic Christian doctrine that is called "Divine Simplicity". The link for the last post can be clicked-on here for any reader wanting to review - http://www.growingchristianresources.com/2018/07/part-one-introducing-doctrine-of-divine.html. 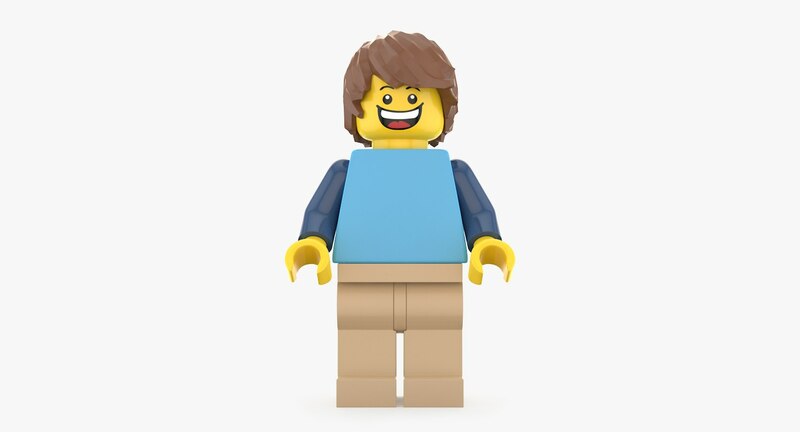 I decided to have a picture of a Legoman at the head of today's post to remind readers of the difference between something composed of parts (i.e. "a complex, created thing") versus God, which alone is by essence and existence not composed of parts (i.e. Divine Simplicity and thus uncreated). To flesh out the above thoughts further, unlike created things that are composed of parts or "complex", which are distinguished in "what they are" (i.e. essence) from "how they are" (i.e. their existence), God is not composed of "parts". Instead, God is referred to in His essence and existence as "simple", meaning that God is not the result of something composing God from a bunch of attributes or properties (which would amount to God's essence or "what makes God, "God") to become the being we worship as God (i.e. how it is God is God in His existence). "God is absolute being, in that He is His own explanation for His being. He relies on nothing outside of Himself to be God. He is the perfect plenitude (that is, fullness) of being." Also too, unlike all other created things, which have a beginning and progress from a state of "potentially being something" to a state of "actually being a completed something", God, by nature, has never lacked in anything, since He is complete in every perfection from all eternity. God has no beginning. Thus, simplicity, as it related to describing the God of the Bible, aids in showing why God is separate from His creation. In the last post, we had begun with first describing the concept of "complex" by way of putting together model cars. To briefly appeal to the model car illustration once again, there wasn't a box so-to-speak in eternity that was labeled "God" that contained certain parts (omni-presence, omnipotence, omniscience, immateriality, infinity and so forth). If this were the case, then the God we worship required a composer greater than Himself. The doctrine of divine simplicity helps the Christian to better understand the sharp distinction between God as uncreated, eternal creator versus everything else. In today's post, the aim is to finish out our introductory discussion on the doctrine of Divine Simplicity. At the end of this second part, I will include a list of resources for further reading. As author and theologian James Dolezal describes this doctrine in a recent interview: "Everything that is in God, including His attributes and properties, is God". Put another way, God is the same in both His essence and existence or, God is the sum of all His attributes. To help picture more clearly what we mean when we say God's "essence" and "existence" are one and the same, I will first refer to remarks made by theologian Wayne Grudem, followed by a helpful illustration involving Lego people. First, author and theologian Wayne Grudem has provided three helpful illustrations in chapter eleven of his work entitled "Systematic Theology". 1. God is not composed of a bundle of attributes or properties that somehow made Him what He is. The first illustration has a cluster of circles (picture a bunch of bubbles in a cluster together, or a cluster of grapes) that each are labeled with one of God's attributes. Grudem points out that we must not conceive of God as a collection of various attributes. 2. God's attributes that express His existence are not one thing, and His being or essence a separate thing. In his second illustration concerning God's Divine simplicity (which he refers to as God's "unity of being"), Grudem has one big circle (referring to God's essence or being) surrounded by little circles that are each labeled by one of the Divine attributes. Grudem notes that the second illustration is also incorrect, since the attributes of God in the second illustration are somehow less than His being, which would make God dependent on His attributes to complete what He is as God. It is in the third illustration of Grudem's discussion that one finds what is meant by the doctrine of Divine simplicity. Grudem draws lines criss-crossing within a circle, with each line representing an attribute and all the lines together constituting the whole of the circle. It is in this third illustration that Grudem suggests we ought to think of God when we say that God is the same as all His attributes. I'm sure some readers have played with lego bricks at come point in their lives. Author James Dolezal gives a helpful illustration of Divine simplicity by way of legoman Darth Vader. The legoman in question has "essence" (i.e. legomanity), much like we have the essence of humanity. The legoman Darth Vader has what are called "accidental properties", meaning, traits which he could have or not have and yet remain legoman Darth Vader (i.e. he could have or no have a light saber, for example). I as a human being have dark hair with some gray, however, if I shave my hair, I still remain essentially who I am. There are essential properties that make legoman Darth Vader what He is. If one takes away the brick of his head, or arm, or torso, then he is no lego man Darth Vader. Instead, he only had the potential to become such. Dolezal's point is that, unlike created things which are composed of parts, God is complete, through and through, from all eternity. God never had any potentiality in His eternal experience. It is not like there suddenly appeared the property of "love" or "holiness" that attached itself to God's being. God has never lacked in any of His perfections. All of God's perfections (i.e. His attributes) are the essence of what He is (in His essence) and in His self-existence. God is God. God's "Godness" is in virtue of what He is and Who He is. No other being can claim this particular point, which is what separates God as creator from everything else. Some critics have charged that Divine simplicity cannot be proven from scripture. In response, whenever we consider the fundamental traits that scripture uses in defining and revealing God, such descriptions infer or lead one to the doctrine of Divine simplicity. The opening passage in today's post, John 4:24, has Jesus describing the Divine nature of God as "Spirit". The Apostle Paul affirms the immaterial nature of God in Acts 17:29 - "Being then the children of God, we ought not to think that the Divine Nature is like gold or silver or stone, an image formed by the art and thought of man." So then, God is by nature or essence a spiritual being. Now as we already observed, angelic beings are by nature spirit or non-physical and yet are still classified as "complex" beings (see foregoing discussion above). With God classified by nature as "spiritual", what then separates him from even the angels? Unlike the angels, God never had a beginning, which means God never had the "potential" of becoming what He is. Both Old and New Testaments testify to God being unchanging or immutable (Malachi 3:6; James 1:17), thus reaching the conclusion that God has always been and always will be eternally God (Psalm 102; Isaiah 44:6; Revelation 1:8). Some thinkers today complain that there is no overt text to which we can point to that states that God is "simple" or "composed without parts". The response to this charge is found in how other more well-known attributes of God and assertions of His Divine nature point the way to the doctrine of Divine simplicity. To give but one example, consider the Divine attribute of God that is called "Divine Aseity". God as unique (Deuteronomy 6:4-5); without any other comparable deity that co-exists with Him (Isaiah 44:6) and which exists independently from and before the creation (Isaiah 43:10-11; Jeremiah 10:10-11; 1 Corinthians 8:6-7) is referred to as God's Divine Aseity. Divine Aseity means God "exists in-and-of-Himself" with no beginning and no dependence. Divine simplicity is pointed to by this truth in how it proposes God's essence as not depending on His attributes. To paraphrase the 13th century Christian thinker Thomas Aquinas, everything that God is and which is deity is completely present. Similarly, other more well-known attributes of God (omniscience, omnipresence, immutability or the unchanging character of God) all point to this underlying truth of Divine simplicity. In the next post, we will round out the Biblical reasons for asserting the doctrine of Divine Simplicity (DDS). One common objection to this doctrine is that some do not think it compatible with the Biblical doctrine of the Trinity. In the next post, we will explore why Divine simplicity and the truth of the Trinity are compatible truths the make for a complete picture of the God of scripture. Below, as promised, are further resources for reading on this doctrine. 2. St. Thomas Aquinas. Summa Theologica. Section 1 (Prima Pars), articles 2-8. Existence and Nature of God. 3. St. Anselm Of Canterbury. "The Proslogion", Chapter 13. 4. Wayne Grudem. Systematic Theology. Chapter 11 - The Character of God: "Incommunicable Attributes". 5. Baptist Faith and Message 2000, Article 2, "God"
6. 1689 London Baptist Confession Of Faith, Article 2, "Of God and The Holy Trinity".